I love this Valentine’s Day word search printable as a great fun way to have the Wee Child do something educational and fun around a holiday we love. I try to keep our homeschool classroom fun and easy. Not to be without challenge, but to be a way he can learn without feeling forced to do things he hates. Vocabulary and spelling can often be drudgery to him, but word searches are always a hit. They are a grat way for us to give him a fun way to learn how to sell something, and play time all in one. I like printing this Valentine’s Day word search a few weeks before Valentine’s Day and adding to our notebook of activities he can do while I work. Working from home can be tough, and juggling homeschooling in that means I have to think outside the box to keep him working and my job in check. I grab a simple 3-ring binder and add a few divider tabs that include worksheets, color pages and things like this word search to it to help when I am busy. If I can’t pause to sit down for a regular lesson, I can send him to this binder and know he is still learning while having a bit of non-traditional fun. 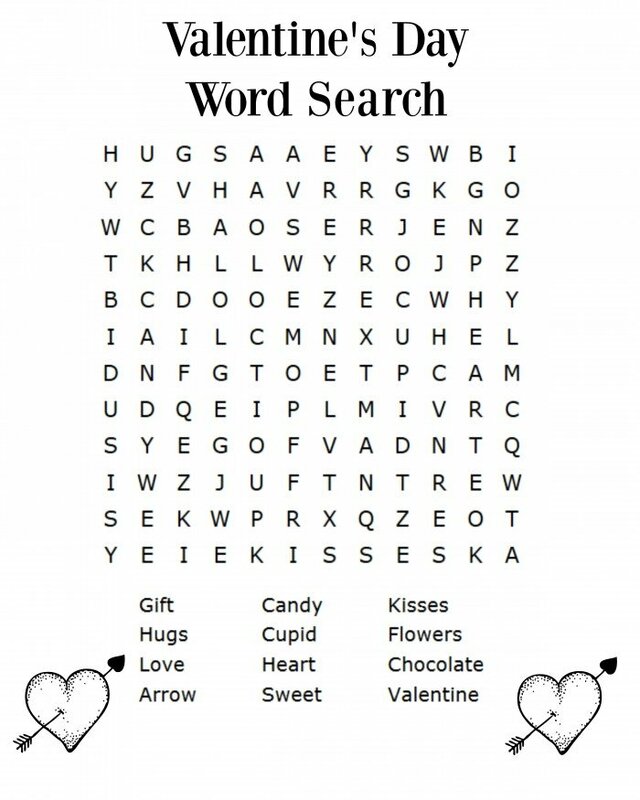 Print this Valentine’s Day word search, and add to your homeschool activity binder as a great and simple way to keep you kids occupied between traditional lessons! This is also a great way to keep your kids occupied in the car if you have a long car trip ahead of you. The Wee Child is like me and tends to get carsick, so reading and writing in the car isn’t an option, but for kids who don’t – I hear things like this are excellent choices to keep them occupied and learning. You can also add in some great ideas for creating a fun interactive Valentine’s Day lesson plan! I love making our lessons fun and exciting, and working them around a holiday is a perfect way to do that. Make cookies, cakes or candy and practice math by using measuring cups. This is also great for learning to follow directions. Have your child write a letter to a friend or family member using 5 of the words found on the word search printable. Make a collage by cutting out the words on the printable from magazines and gluing them to a poster board or cardboard piece. Create site word cards using the words on the word search to help enforce these words in your kids vocabulary. Learn the vocabulary definition for each of these words by taking 2-3 words per week for the month leading up to Valentine’s day and having your child write the definitions multiple times. Check out our other Valentine’s Day ideas, as well as great homeschool printables!